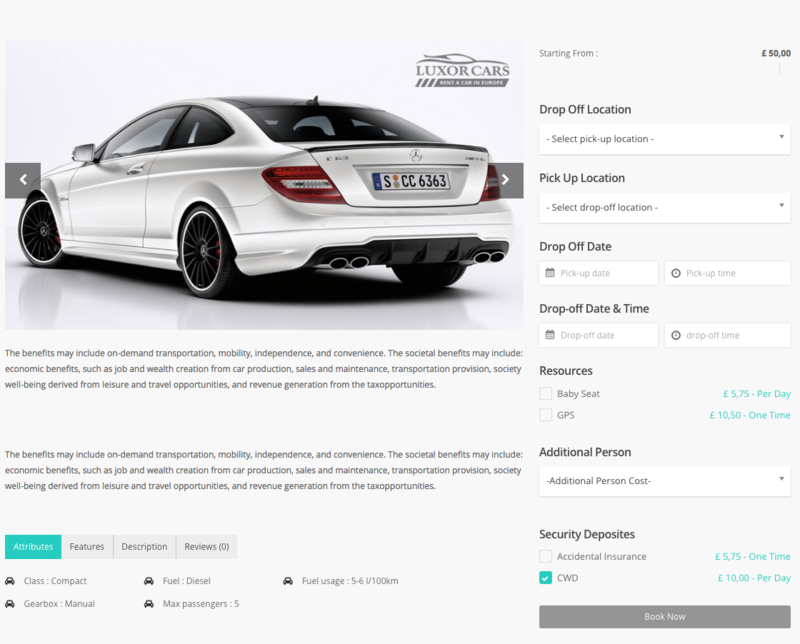 Now resources, persons, security deposit, locations, attributes and features are controlled by Inventory tab of product page. Suppose you&apos;ve 3 same cars of Audi. Now you don&apos;t need to create 3 individual product for these three cars. 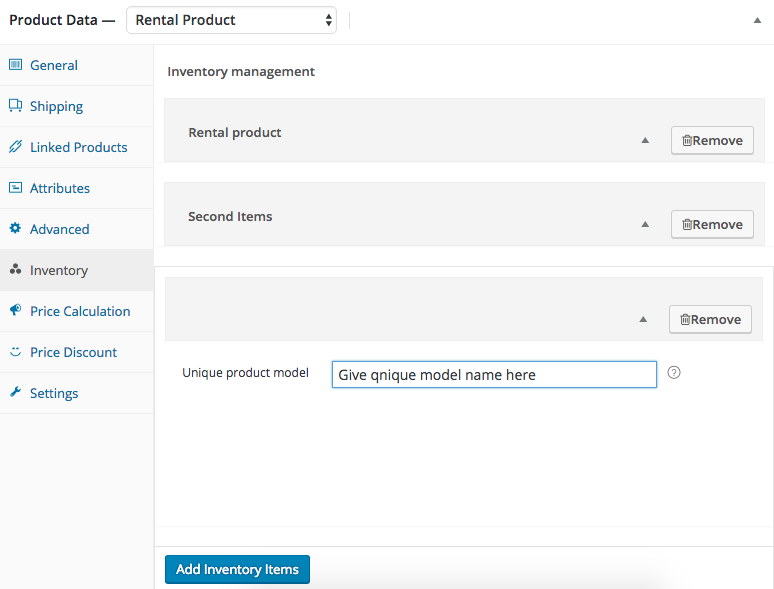 You just need to create one product, then from inventory tab create three models by clicking Add Inventory Items button. To successfully create a product you have to follow these two stages. 1. First create a product by clicking Dashboard->products->add new button. 2. From product type select rental product. 3. From inventory tab click Add Inventory Items button to add your car models(as you have 3 same car so add three inventory from here). 4. 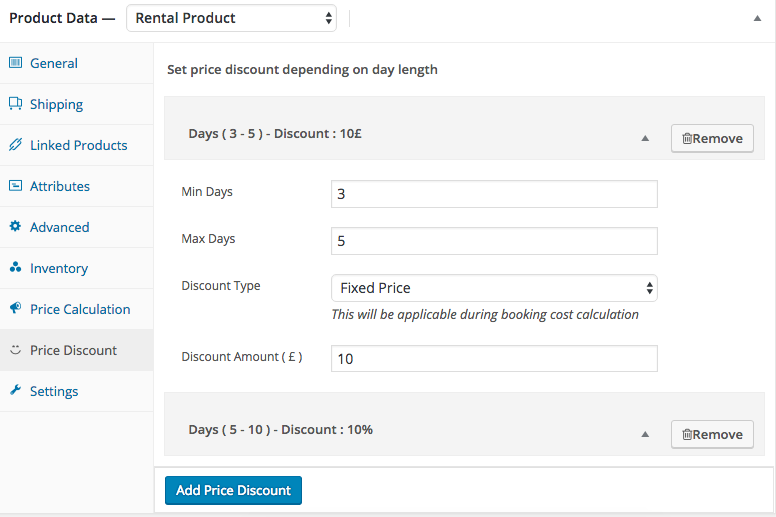 From price calculation tab configure your product price. 5. From price discount tab configure your price discount features. 6. From settings tab select your product settings. 7. Now click publish button to complete first stage of your product creation. 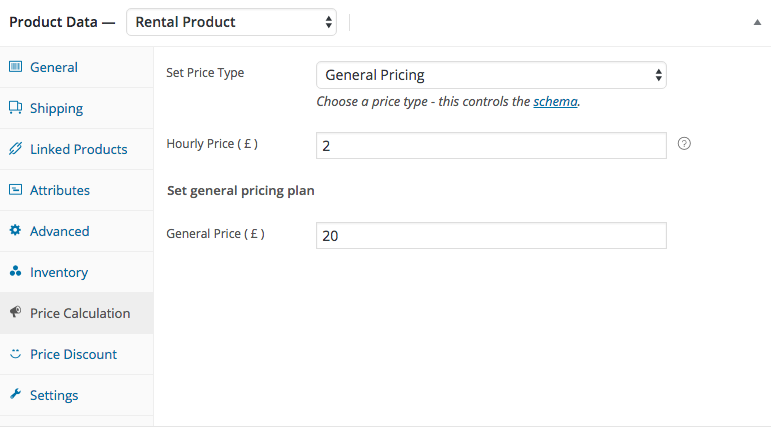 In first Stage you can’t set product payable or non-payable attributes. You have to configure it in your second stage. 1. Now back to inventory tab and click expand icon. 2. 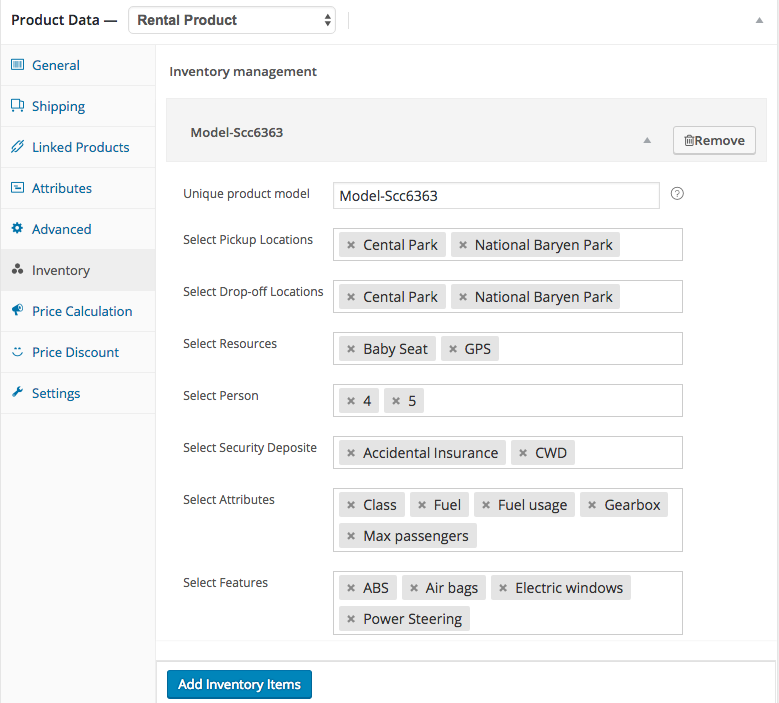 Now you can see all required fields to set your product models resources , persons, pickup and drop-off locations , security deposits, attributes and features. Notice : If you don&apos;t find any value in respective input fields, then go Dashboard->Inventory post type and create terms from respective taxonomies. Then come back to main product and refresh the page. Then you can see the terms in their respective input fields. 3. Repeat (1 & 2) same process for all your inventory models. 4. Now click update button to finish your product setup. 5. Now click view product link and enjoy ! .